Sicily is one of the most interesting parts of Italy, not least from a culinary position. The island’s position as the biggest in the Mediterranean, the ball to Italy’s boot, means that it’s endured attack and invasion from all sides, each successive wave of occupation leaving another layer on the island’s cuisine. The effect has been to create a rich and varied food history, with nods to the Arab east, the African south, France and Spain in the west and elements of Greece’s reach punctuating the island’s culinary history in the same way that Ancient Greece’s architectural mark still shows in ruins scattered through the landscape. The over-riding geographical influence is that of Italy, with pasta and rice dishes prevalent as across much of southern Italy. Italy is just one of a whole range of different influences, though, influences that together create a unique and diverse cuisine, a marriage of history, culture, place and terroir. has in many of ours … it’s one of those classic go-to manuals for times when you need to know how to ‘do’ something properly, but it has a flair and style that our go-to books often (always?) lack. A whole book on Sicily from such a reliable source is always likely to be a good thing, and so it turns out – beautifully photographed with an absorbing introduction into the culture and history of the island, Sicily is a slow meander around the main regions, a leisurely taste of the food landscape. It has a wonderful unhurried feel about it, slow in the philosophical sense of the word – an admiration of the importance of locality and well-produced food. 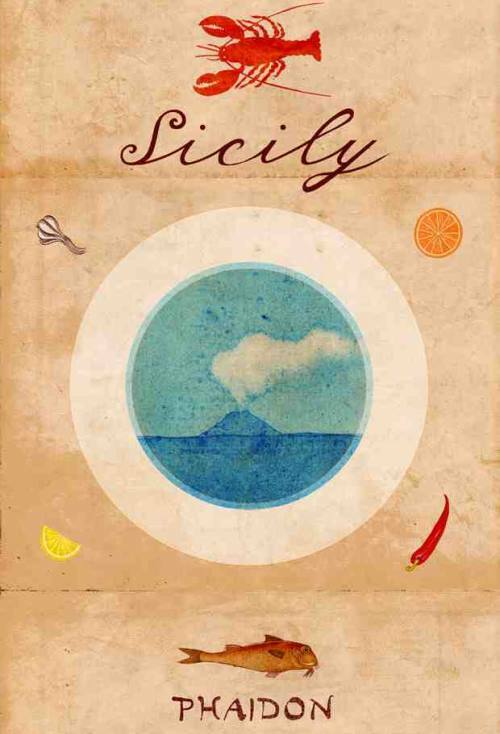 This comes through most clearly in the book’s organisation around Sicily’s different regions, picking out the specific traditions that make each particular part unique or different – fish from Messina, street food from the city of Palermo, simple cucina povera from Caltanissetta. There’s much here to try. Farsumagru, a stuffed veal dish, sliced open to show hard-boiled eggs, is reminiscent of an Italian-styled Scotch egg, while a devilish gamberi con la ‘conza’ adds a shake of chilli to a quick prawn dish, with devastatingly good results. Sfinci, sweet fritters with a citrus syrup are clear relatives of the Spanish churros … probably worth another try, if I have to. There’s a classic pistachio ice cream, if the weather ever warms up enough for ice cream (quick hint – Asian supermarkets are excellent sources of bulk loads of pistachio nuts at great prices). is an immersive and absorbing read. It’s accessible and intriguing, with plenty of well thought through and achievable dishes.